“... those fans that kept faith in us and kept our name alive by supporting us in whatever way they could. 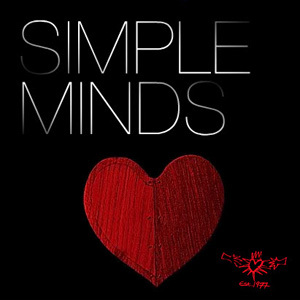 Talking about us whenever, and even if there were not so many interested in hearing what they had to say about their band – Simple Minds. They kept their belief that we could produce the sort of comeback that genuinely seems underway. I especially need to give credit in those years to those who went way further by putting their precious time and energy into creating websites and on line communities based on an appreciation of our music. That gave us the oxygen necessary and the strength to know that others cared apart from us. 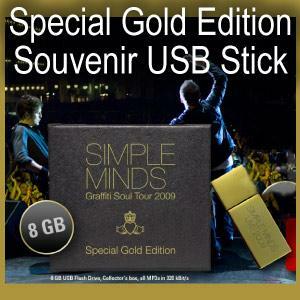 The Simple Minds “Gold Edition” USB tour stick. 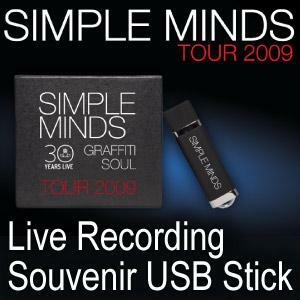 With 8GB of storage space, the “Gold Edition” USB stick contains each of Simple Minds’ UK and Irish concerts in their entirety, plus addition tracks recorded during soundchecks, and exclusive backstage video footage of the band at their recent concert in Basel, Switzerland. 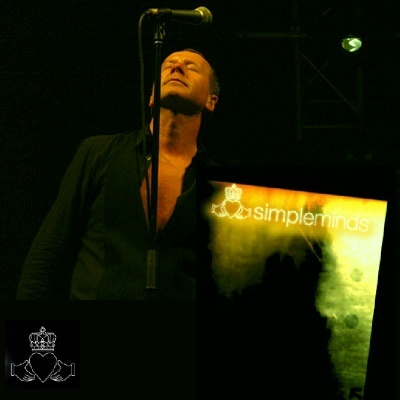 The Concert Online team has taken its mobile audio recording unit and joined Simple Minds' "Graffiti Soul Tour 2009" to record every single evening concert live. The resulting live recordings are split into individual tracks on-site, labeled, and converted to high-quality MP3s (320 kBit/s). picture © COPYRIGHT - All photos and files ( except when different specified and of course when I am in the photos ) by Paola Marocco . Not allowed unauthorized use of my images .You are kindly required to name the author if you use my photos in other sites . A collection of live images dedicated to Simple Minds , to Jim singing fascination , to everyone who can see what I can see , to the travelling tribe . When U live and share your emotions U can shine like a star because of a light coming from your deep inside , that's why this wonderful music will be a part of a magic dream forever , and that's why I travel , to find a place where everything is possible . but images , sometimes , can capture a special feeling and make it survive .